After a strong start with the likes of The Sixth Sense, M. Night Shyamalan has certainly had an up and down career. 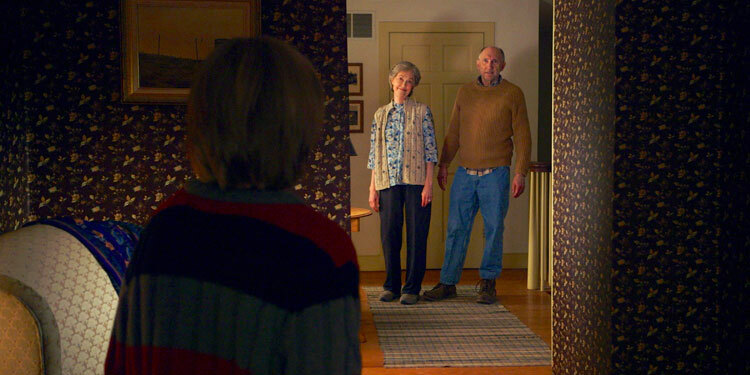 With his latest, The Visit, he’s stripped things back to the basics, with a relatively little known cast, low budget and ‘found footage’ premise. However, this being Shyamalan he still has a go at trying to surprise the audience and keep them guessing. M. Night Shyamalan isn’t quite the name he was in the years after The Sixth Sense, but he’s still one of the few writer/directors who you can sell a film on the strength of their name. That certainly seems true of The Visit, which wants to suggest it’ll take us back to the world of twisty-turny thrillers he’s known for. M. Night Shyamalan and Bruce Willis had plenty of success together with The Sixth Sense and Unbreakable, but they haven’t worked together since. Now they’re planning to reunite, but it won’t be for a sequel to either of their earlier movies, instead it’ll be a drama called Labor Of Love, according to Deadline. Interestingly it’s not a new project, as it was actually one of the first scripts Shyamalan sold back in 1993, but it didn’t get made as Night wanted to direct but Fox, who bought the screenplay, didn’t want to let him. Now Emmett/Furla/Oasis are buying the rights from Fox and plan to sell the project to interested parties at the European Film Market. One of the most intriguing major releases of this summer is After Earth, which look a little bit like Avatar and has had a couple of very good trailer. Now a new poster for the movie has landed, which you can see above. The film hits cinemas on June 7th. The second that Avatar hit it big, everyone in Hollywood was on the lookout for new sci-fi projects. However it always takes a long time to get a huge, effects filled movie into cinemas, so it’s only now that we’re seeing the wave of new sci-fi Avatar inspired, with the likes of Oblivion and M. Night Shyamalan’s After Earth. The latter looks like it’s going to be pretty good – at least if this trailer is anything to go by. The film’s due in cinemas June 7th. It certainly seems as if they’re trying to sell M. Night Shyamalan’s After Earth as being a bit like Avatar. You certainly got that feel from the trailer and now a new poster also gives a bit of a Pandoran feel, even though this is actually a futuristic Earth. It’s due for release June 7th, 2013.